I have a circle. 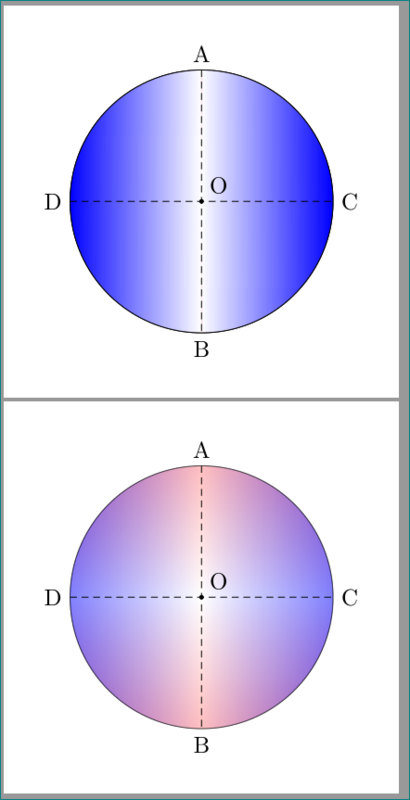 I wish to shade it along its latitude and longitude as follows: Along the latitude, say starting from the point A, the color gradient should decrease until the diameter CD. Similarly from the point B(using the same color as A), the color gradient should decrease until the diameter CD. On similar lines, I need to color gradient the circle along its longitude. 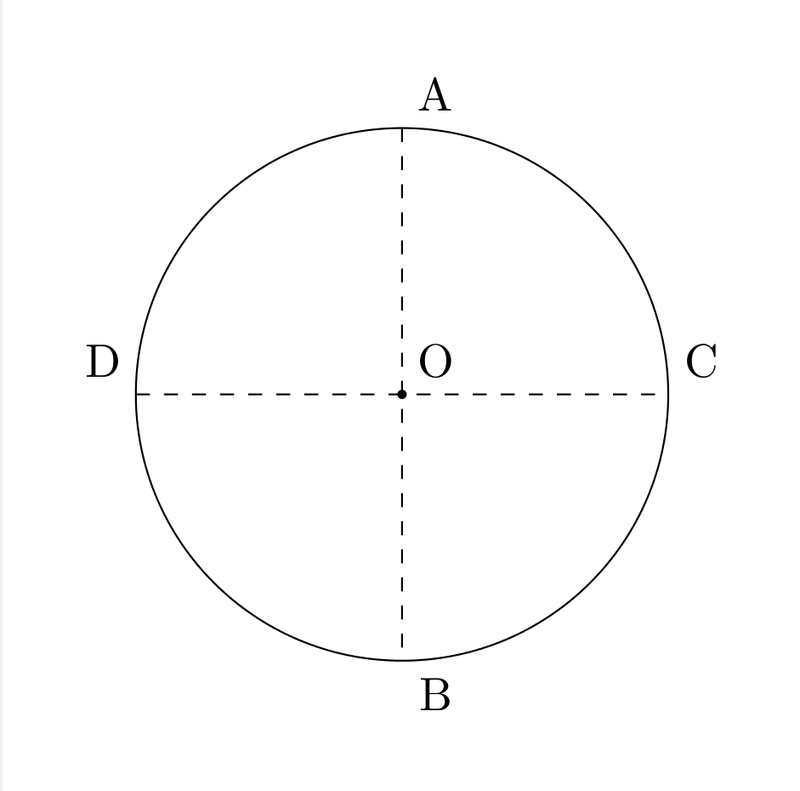 (Starting from C to the diameter AB and from D until the diameter AB). second image has semitransparent shadings. Not the answer you're looking for? Browse other questions tagged diagrams shading circles or ask your own question.